Looks good, smells good, stays straight. Suitable for a range of outdoor projects, Timberlink Green is the first outdoor timber to combine the proven performance of LOSP (Light Organic Solvent Preservative) technology with a Low Odour formulation. Now available in DAR nationwide (smooth), for a smooth, modern finish.. Treated with LOSP, Timberlink Green will remain straight and stable. Superior appearance - Machine graded for structural integrity AND visually graded for good looks. Up to 30 times less odour than traditional LOSP formulations. 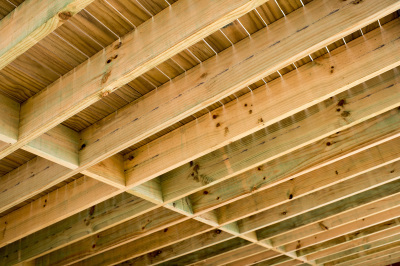 Ideal for a range of load bearing applications such as deck structures, pergolas and carports. Manufactured to meet Australian Standards. Hot dip galvanised or stainless steel corrosion resistant fasteners, fixings and connectors are recommended for use with all exterior, above ground applications. Timberlink recommends that all timber used in external applications be painted, sealed or oiled to maintain optimum performance. When handling and cutting any timbers, it is advisable to wear dust masks, goggles and gloves. ​Do not burn treated timber or use in animal bedding or for composting purposes.